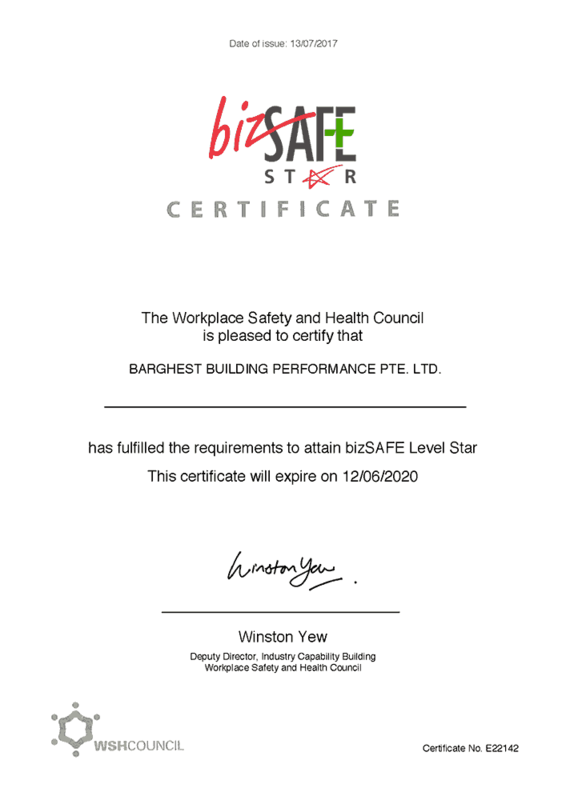 BBP is proud to be awarded bizSAFE Level Star — highest level of standards. bizSAFE is a five-step programme that assists companies to build up their WSH capabilities so that they can achieve quantum improvements in safety and health standards at the workplace. Detailed outline of bizSAFE.